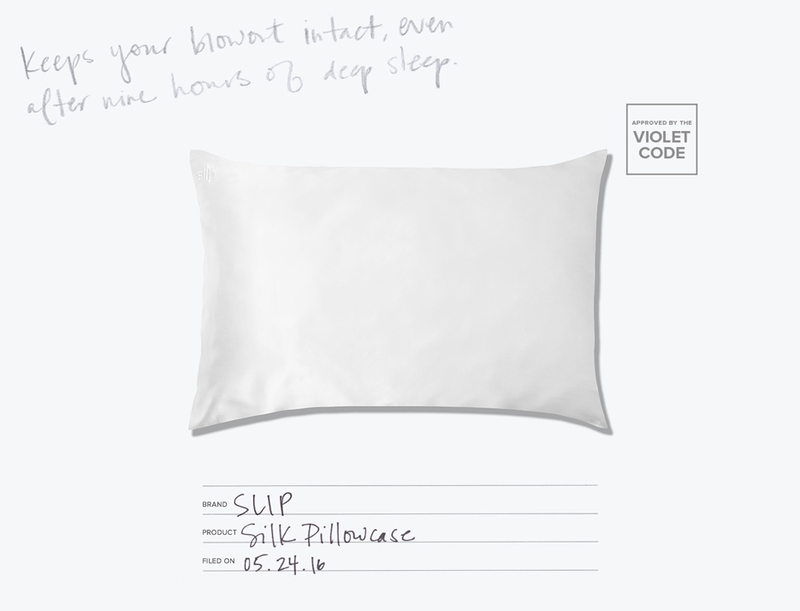 Presenting the silk pillowcase that keeps hair smooth and skin crease free. When visiting VIOLET GREY from Australia, Slip creator Fiona Stewart shared the story behind her essential silk pillowcase. The invention was literally born out of necessity: In 2003, complications from an acne medication left Stewart with sensitive skin and thinning hair. Her dermatologist suggested replacing her cotton pillowcases with silk ones, explaining that the smoother textile won’t pull, tug, or scratch the skin. But when she set out to buy a silk pillowcase, Stewart couldn’t find one that looked—or felt—up to par. So she sourced the finest mulberry silk from China and wrapped it around her pillow, awakening to hydrated skin and no more frizzy bedhead. After Stewart told friends of her discovery, they were desperate to try it, and retailers soon came knocking. Within a year, the brand was launched to rave reviews. A few of ours? Hairstylists Adir Abergel and Robert Vetica both found that Slip left hair feeling smooth, soft, and shiny, while makeup artist Kira Nasrat reported waking up with minimal frizz and a crease-free face. AT BEDTIME: Maintains shiny locks and keeps your blowout intact. DURING A NAP: Prevents pillow face from developing during an afternoon snooze. ON THE DUVET: Looks chic among your Frette linens.